I’m sure most of you have been offered a free trial subscription to a magazine at some point… Well my wife hooked us up with a few issues of House and Garden where I found a deal on “Baccarat’s cut-crystal” chandelier for just $23,990.00. The shades are $448 each, 12 are required. However for a real find look at page 84 in the October 2006 issue. Lora Zarubin did a full page write up on 7 quality coffees from INTELLIGENTSIA, VICTROLA, SWEET MARIA’S, BATDORF & BRONSON, DOMA, TERROIR and BLUE BOTTLE. I tried to find it online and couldn’t… if you find it please let me know and I’ll link to it. Anyway the pictures are so clear you can even see roast dates on a few bags!! Last year on a visit to London I went on a day trip with my dad to see the museum of coffee and tea and were quite disappointed. 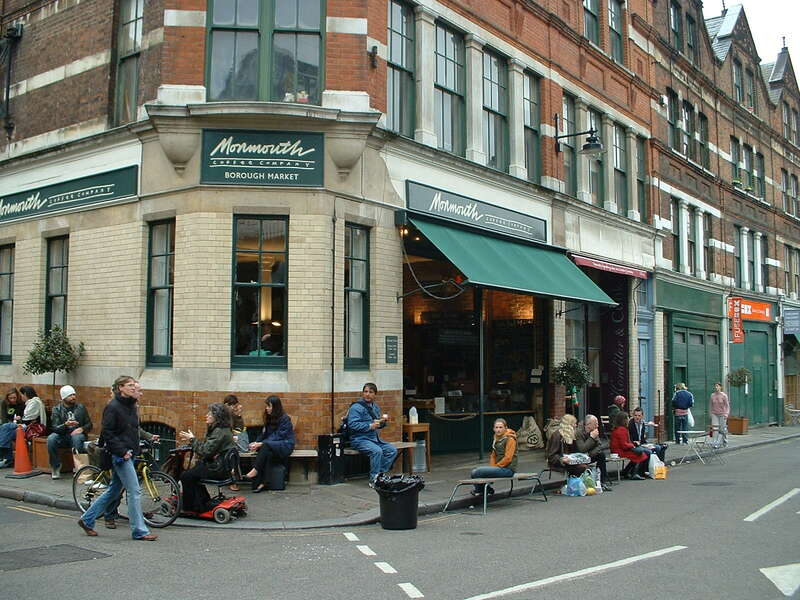 On our way back to meet up with my mom and wife we stumbled across Monmouth Coffee a first class act. Lora’s Blog “Eating Around – diary of a passionate eater” shares a similar experience. 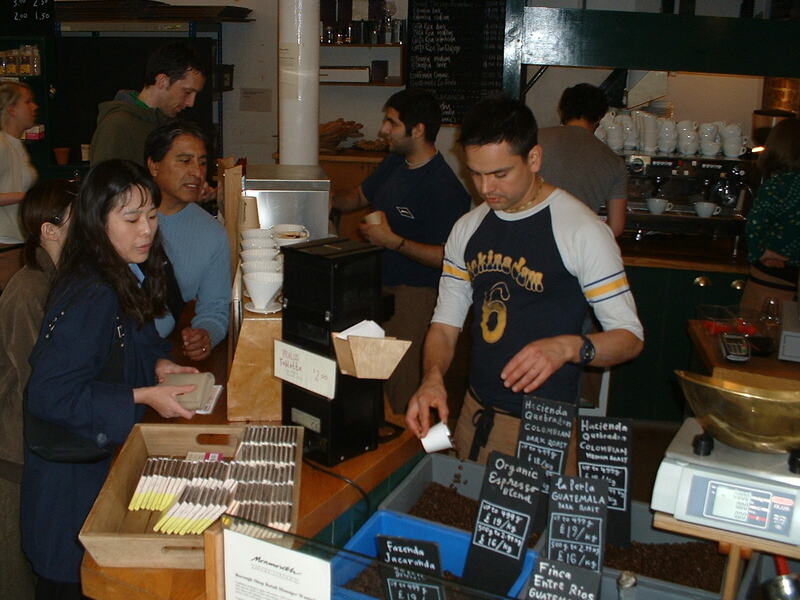 Below mi papa in the blue sweater is ordering a cup of pour over “La Perla-Guatemala”. In the second pic… where’s Waldo(Edwin)? hint he’s holding 2cups. And speaking of food to write about, check out this COFFEE RUB created by some friends of Victrola.